We were heading towards SeaTac to drop a friend off at the airport. 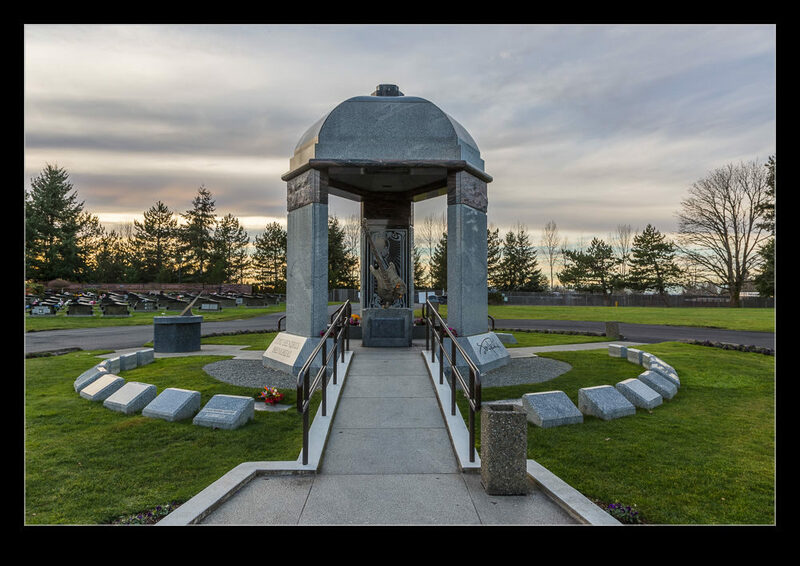 We were coming in through Renton on a back road and had some time to spare so I made a quick diversion to a local cemetery. 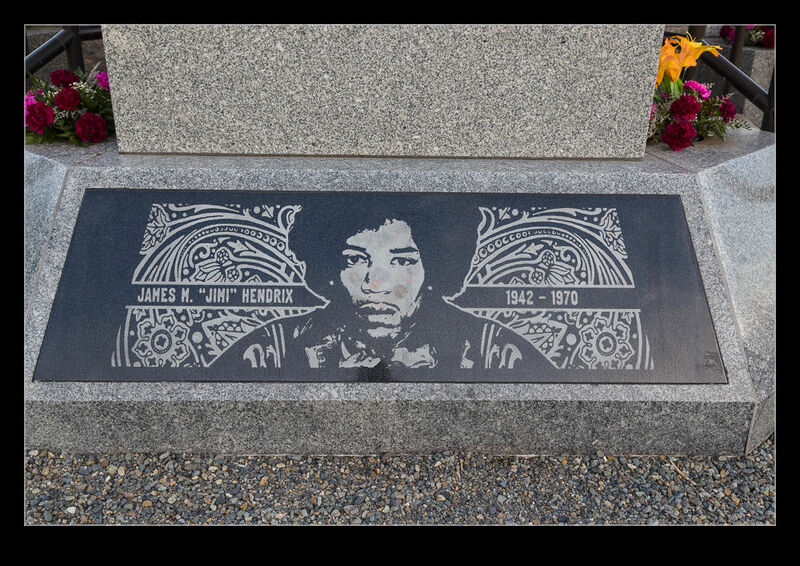 This is the final resting place of Jimi Hendrix. I had been meaning to check this out for a while and this was the first good opportunity. It is a nicely laid out shrine to Jimi. Some graphics of him are engraved in the stone of the structure and there is a guitar sculpture at its center. A bunch of different picks are inserted in the sculpture by visiting fans. Flowers are growing around the base of the shrine. I imagine that there are plenty of visitors throughout the year although we were the only ones on this Friday afternoon. 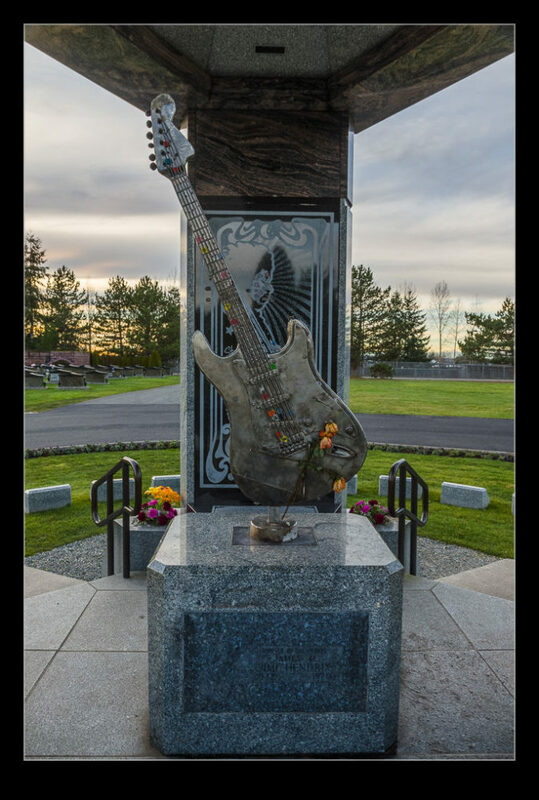 This entry was posted in Pacific Northwest, photo and tagged grave, Jimi Hendrix, photo, Renton, washington. Bookmark the permalink.